A while back I was pondering whether to opt for the new-fangled Roku 4 or “settle” on a 2015 Roku 2. Fortunately, David Katzmaier has taken a crack at this conundrum and picked a clear winner. Streaming video, whether it’s from Netflix, YouTube, Amazon Prime, Watch ESPN or PBS Kids, is more popular than ever. And the selection of devices to get those shows and movies from the Internet onto your TV continues to expand. In late 2015 all of the major players in TV-based streaming — Roku, Amazon, Google and Apple — debuted brand-new gadgets. They also continue to sell older ones. The result is a cornucopia of choices overwhelming enough to give even the most gluttonous binge viewer indigestion. Roku3 is my pick as the Roku4 has a fan and reports are that it is rather loud. 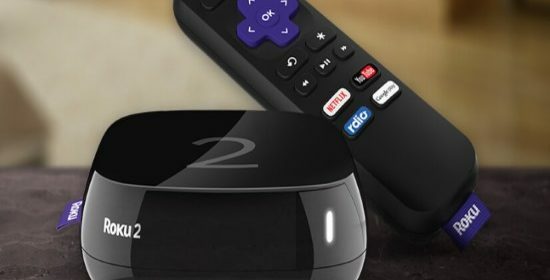 Which feature(s) of the Roku 3 makes it your choice over the 2? I didn’t realize there was an updated Roku 2. I could careless about gaming or the headphones and voice search so it seems to be a better choice. The Roku 3 previously had faster hardware inside than the Roku 2, but it doesn’t anymore. Now, the only difference is the remote control the Roku 3 comes with. Everything else is the same as the Roku 2. The Roku 3 comes with an “enhanced remote with voice search, headphone jack, and motion-control for gaming”. The new Roku 3’s standout feature is its remote with a dedicated voice search button. It’s nice to listen with a headset attached to the Roku 3 remote. and also to watch TV without disturbing other people if they are sleeping. Think a bedroom setup with wife sleeping. Thanks for the detailed response. I can see why those would be useful features if you plan to use the remote. Agree, Night Rider. I have the Roku 3. The must have feature for me is the headphone jack on the remote. Saved my marriage. I have the Roku 3 , but it came with the remote that has the headphone jack, without the internal mic…. reached out to Roku via the online tech chat Monday Nov 9th. The tech said I could find the remote online at Costco, Best Buy, Wallmart and Amazon. I told the tech that it was not available at any of these locations. Tech asked me to hold on while he searched for it. He also came back with no hits for the remote for sale anywhere. First one was for my Roku 2 that had a dead remote. Don’t have this advanced Roku remote with the mic. Your still not out of luck. Roku has a smart phone app for IOS and Android. You can control and voice search your Roku with this app and do even more. Have some photos & video on your smart phone. You can fling them to your Roku to watch full screen. Here is the best reason why the Roku is the better streaming box… Private channels. As if the Roku didn’t have enough channels already, there’s a decent selection of “private” channels you won’t find in the channel store. Technically, private channels and apps are part of the Roku channel store, but not displayed publicly. A channel can be private for a number of reasons: maybe it has adult content, maybe it’s still in beta, or maybe it’s just an unofficial third-party channel for a service without any official app. You won’t find them when you browse the channel store with your remote, and to install them you’ll need a secret code or link. Som interesting private channels shown here.